You must be of legal drinking age in your country of residence to access this website. Please only proceed if this is the case. RB: First maturation in 200 litre American Standard Barrel, for a gentle wood inﬂuence. RB: Second maturation: 200 litre casks using staves from ﬁrst-ﬁll Bourbon for a rich sweetness. 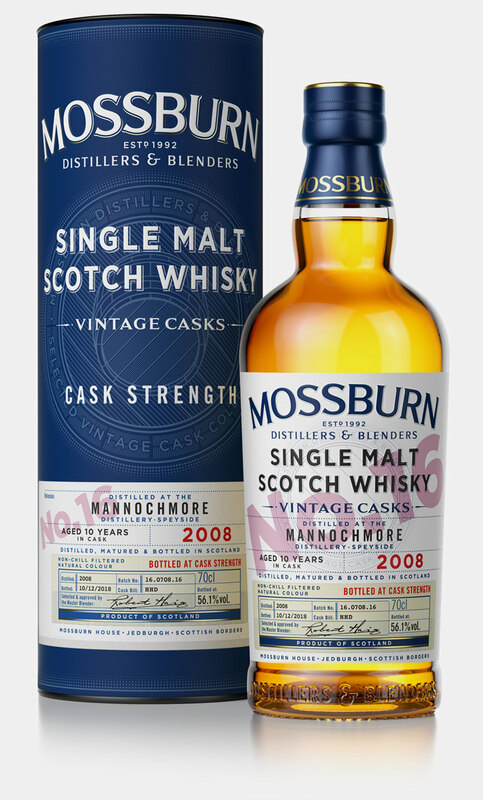 OS: Second maturation: 500 litre casks using staves from ﬁrst-ﬁll Oloroso Sherry Butts for a rich sweetness and fruit accent. HT: Second maturation: Cask heads of heavily toasted virgin European oak add a smoky spice ﬁnish. HC: Second maturation: Cask heads of heavily charred virgin American oak adding a sweet vanilla ﬁnish with depth. 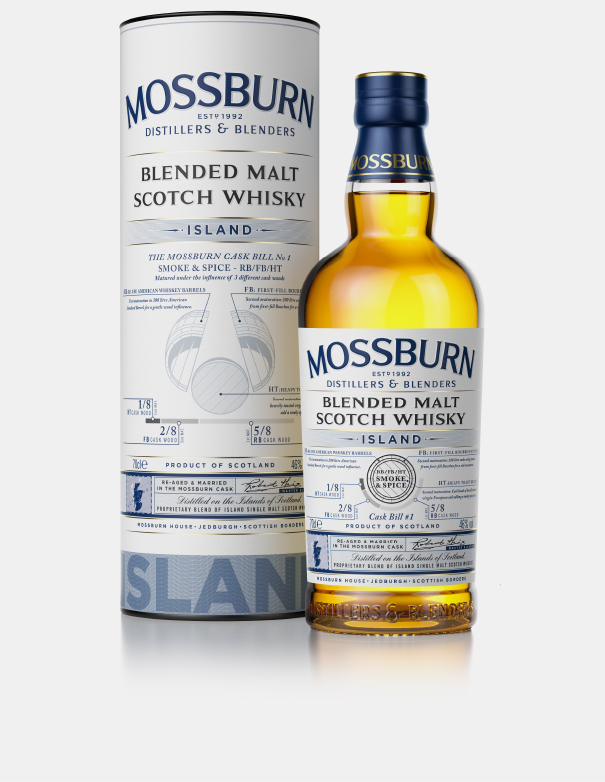 To enhance the characteristics we love in coastal malts, the Mossburn Casks used were first fill ex-Bourbon barrels with toasted virgin European heads, to provide additional smoky spice. The MossburnVintage Casks range are a collection of Single Malt Scotch Whiskies each issuing from a strictly limited and select batch of casks. Each numbered release will only ever yield a finite number of bottles. While this means that we can never replicate the particular character of each of these Single Malts, it also offers an opportunity to sample what we believe to be an exceptional examples of the whisky made by some of Scotland’s most distinguished distilleries. 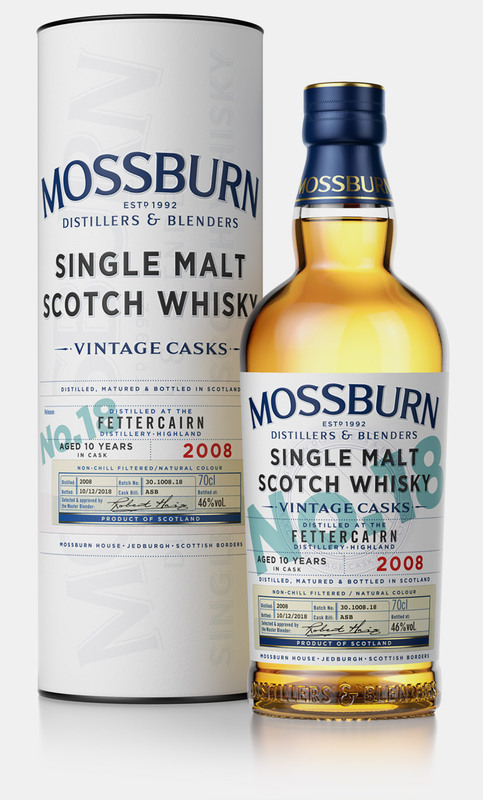 For this range we have sought out Single Malts of interest from distilleries not owned or run by ourselves. They are the issue of specific vintages, with full traceability of the distillation and cask ageing that they have undergone. The master blender has specially selected these barrels from our ageing warehouses, where many Single Malt Casks lie slowly maturing, as worthy of special Mossburn Distillers & Blenders bottling. Each batch exhibited the classic hallmarks of balance, depth and complexity that only the best Single Malts can deliver. 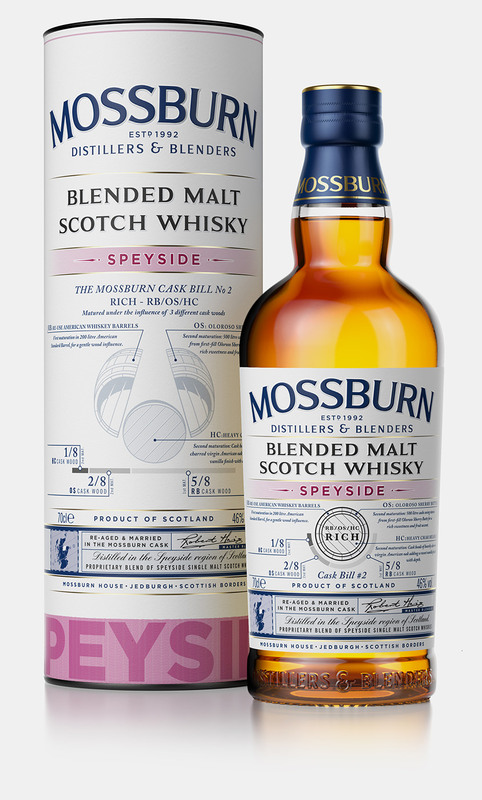 These Single Malt Scotch Whiskies have all been bottled without any colouring or chill filtration.